New study: Ocean-driven warming along the western Antarctic Peninsula needs to be considered as part of a natural centennial timescale cycle of climate variability | Watts Up With That? The western Antarctic Peninsula is one of the fastest warming regions on the planet, and the fastest warming part of the Southern Hemisphere. Now research led by Cardiff University published in Nature Geoscience has used a unique 12,000 year long record from microscopic marine algae fossils to trace glacial ice entering the ocean along the western Antarctic Peninsula. The research is co-authored with Cardiff University by the universities of Nottingham, Leicester and the British Geological Survey and was funded by the Natural Environment Research Council (NERC). The causes for rising temperatures along the Antarctic Peninsula during the late Holocene have been debated, particularly in light of instrumental records of warming over the past decades1. Suggested mechanisms range from upwelling of warm deep waters onto the continental shelf in response to variations in the westerly winds2, to an influence of El Niño–Southern Oscillation on sea surface temperatures3. Here, we present a record of Holocene glacial ice discharge, derived from the oxygen isotope composition of marine diatoms from Palmer Deep along the west Antarctic Peninsula continental margin. We assess atmospheric versus oceanic influences on glacial discharge at this location, using analyses of diatom geochemistry to reconstruct atmospherically forced glacial ice discharge and diatom assemblage4 ecology to investigate the oceanic environment. We show that two processes of atmospheric forcing—an increasing occurrence of La Niña events5 and rising levels of summer insolation—had a stronger influence during the late Holocene than oceanic processes driven by southern westerly winds and upwelling of upper Circumpolar Deepwater. Given that the evolution of El Niño–Southern Oscillation under global warming is uncertain6, its future impacts on the climatically sensitive system of the Antarctic Peninsula Ice Sheet remain to be established. ← Is Yoko Ono smarter than a 4th grader? Professor Melanie Leng, from the British Geological Survey and Chair of Isotope Geosciences in the Department of Geology, University of Leicester, said: “Technologically the analysis of the oxygen isotope composition of diatom silica is extremely difficult, the British Geological Survey is one of a very few research organisations in the world that can undertake this type of analysis. So don’t expect replication any time soon. All of that work for such a tiny portion of the globe. Remarkable. People get ready to face it, and it is part of natural selection. More warming with more El Niños? Isn’t that exactly what Bob Tisdale has found over recent decades? I can see a Romm’s and Foster’s heads exploding now. “So don’t expect replication any time soon.” Yep, vaccinated ante hoc against falsification by adhockery, “I am the only one professional enough to …” (Ex-DEA Special Agent Lee Paige as he shot himself in the foot.) Leng should take note. Little by little the “consensus” morphs. So they are not sure what the effect of global warming on ENSO WILL be. 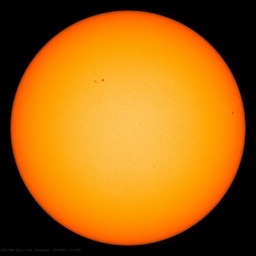 They don’t appear to realize that they have the larger picture – a series of multicentennial global warmings themselves! Also, they still are sticking the Hoaky stick in the present – mustn’t mess with Mikey’s hottest of the hottest. On the other hand, had the results gone the other way, you’d be among the first to proclaim this ground breaking research that must be heeded by all. BTW, every proxy study such as this only covers the immediate area around the study. We can’t all claim that a single tree represents the entire world. When you add all the proxies together, you get a view of what the world is doing. And it shows that the recent past is not unusual. Who can verify their findings? Here we go again. Are they trustworthy? It looks an interesting study and it doesn’t make massive claims or sweeping generalizations. Its work like this which will gradually replace speculation. Small steps but important ones. They know damn well it’s the volcanoes warming the area. but – hey – they need the funding to they can swan around in the antarctic some more. They are using a proxy for amount of land based ice that melted in the sea. This would suggest more about glacial growth, than ocean temperature to me. It could be a proxy for increased precipitation over Antarctic, with suitable time-lag. When the sea surface temperature data has an adequate time base and satellites fully cover the globe,I will be very interested in the full picture of ocean heat flow. Here is something from last year for the northeastern Antarctic Peninsula. …….Although warming of the northeastern Antarctic Peninsula began around 600 years ago, the high rate of warming over the past century is unusual (but not unprecedented) in the context of natural climate variability over the past two millennia……. 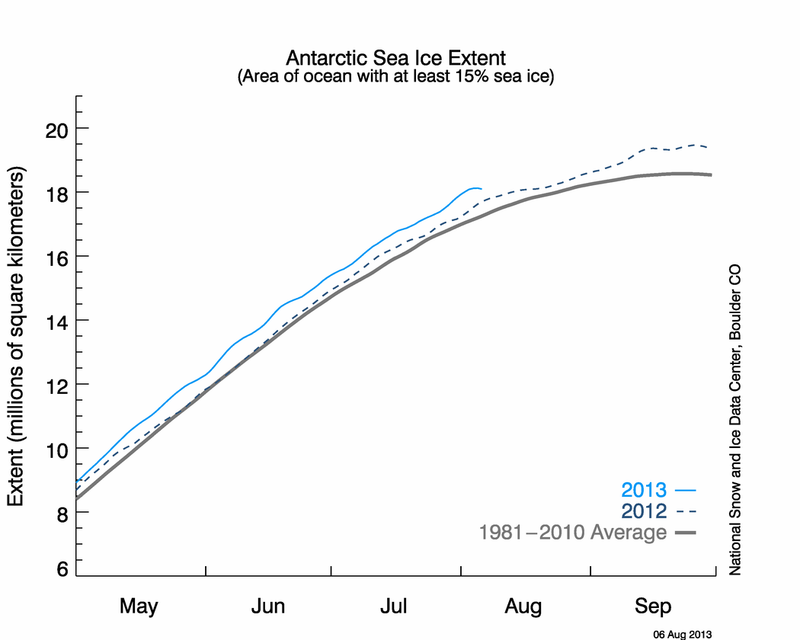 Meanwhile Antarctic sea ice extent is matching last year’s record levels. It’s worse than we thought. Boy, i’d like to see the article. I suppose they derive summer insolation from meltwater. A bit of tautology. Increasing La Nina’s=rising summer insolation at the Antarctic Circle? This quotation expresses a healthy shift in emphasis toward science and away from speculation. Maybe WUWT cannot take credit for this shift but WUWT was the first to explain the need for this shift and has expressed it consistently for years. “Natural centennial timescale cycle of climate variability” is music to the ears of all scientists. Physical hypotheses about natural regularities are now in the forefront of discussions about climate. That alone will move science out of the nightmare of CAGW. As for policy making, that is something that seems beyond all rational thought at this time. You should expand your comment. In my opinion, such extensive work is necessary for genuine science. I am not endorsing their conclusions. I am endorsing their efforts, especially their efforts to follow scientific method. Their efforts might be imperfect. Someone said that the Hockey Stick is in their work; if that is true then it is very worrisome. It’s not that bad, is it? They are putting their scientific specialty on stage and it will get evaluated in light of their work. They are creating hypotheses that treat ENSO as a natural process; that is a qualitative change from the modeling mainstream who do not treat ENSO as a natural phenomenon that exists apart from their models. Any ideas what might have caused the following? And Antarctica is seemingly warming up, at least at Little America. Average temperature there is about five degrees warmer than 45 years ago. I’m with Janama on this! In other words , we ticked the compulsory AGW scare box now can we have some more cash please . I wonder how they determined this. If correct, it implies natural cycles in cloud cover. BTW, the much hyped Antarctic Peninsula warming comes from a single British station, and all the warming was in minimum temperatures, which makes me suspicious they took their own little bit of anthropogenic warming with them to the Antarctic. A mini Urban Canyon Effect? This studies methodology makes me a bit skeptical. The mechanism connecting the measured data with the targeted phenomena is far too complicated.